The 2012 election is expected to be the most expensive in history -- and it will also be the first presidential campaign in the wake of the Supreme Court's Citizens United decision, which reversed a generation of reforms enacted in the wake of Watergate and opened the door to unrestricted expenditures and secret donations to independent political groups. 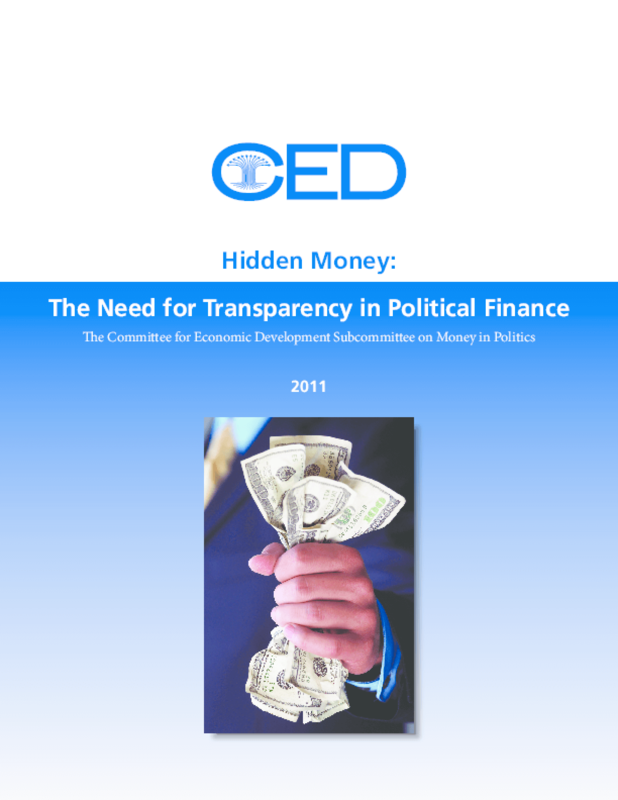 In advance of the 2012 election, the Committee for Economic Development is announcing a broad coalition of corporate leaders united in their determination to blunt the effects of Citizens United and relieve the enormous political pressure exerted on corporations and executives to spend on political campaigns, which diverts precious resources from jobs and other core business functions. Three CED sister reports outline the major effects of Citizens United on the private sector and urge meaningful voluntary corporate action to resist the "pay to play" business environment the decision created by refusing to spend corporate resources on campaigns -- or, at a minimum, to fully disclose political spending to shareholders and the public. The reports also call for public policy reforms at the state and federal level -- including public financing of congressional and state judicial campaigns.